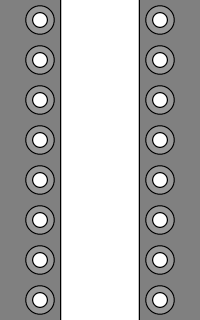 Also referred to as "Bal-Lacing", this method is for riding boots (motorbike or equestrian) whose sides are joined at the top and loosen near the ankle. 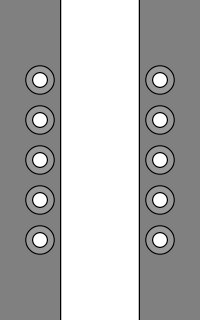 The laces zig-zag from both ends and are tied in the middle. 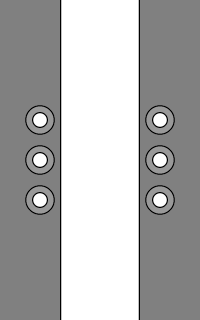 • Begin with a long diagonal on the inside (grey section) and out through the bottom left and top right eyelets. • The bottom (blue) end zig-zags upwards towards the middle, while the top (yellow) end zig-zags downwards towards the middle, each end running straight across on the outside and diagonally on the inside. • The ends are tied across the middle near the narrowest part of the ankle. This method is not really meant to be used on normal shoes, boots or sneakers, although it can be used on them to achieve an unusual look. It's specifically intended for riding boots (as shown in the first photo) in which the part that is tightened and loosened is at the middle of the boot (near the ankle). This means that they lace up from both top and bottom and fasten in the middle. 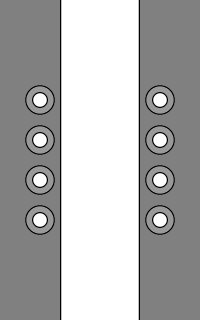 On boots such as these, the sides come completely together, hiding all of the angled underlying shoelace segments. Dublin riding boots with Riding Boot Lacing. 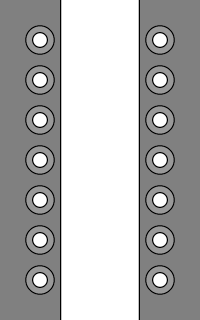 Shorter ends if existing shoelaces are re-used (−5% on average). Identical layout except for the starting and finishing positions. View and customize Riding Boot Lacing using Create-a-Lace. 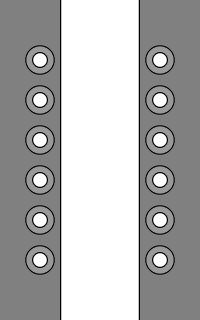 This method on the Dehner Boot site for lacing their 9 Eyelet Field Boots.